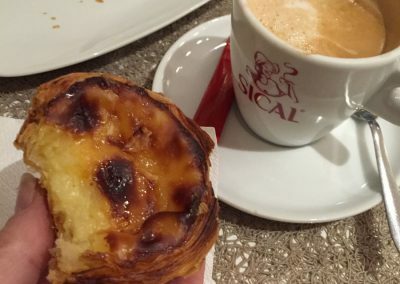 We recently had a fantastic day in Porto, with a friend who was like a local! 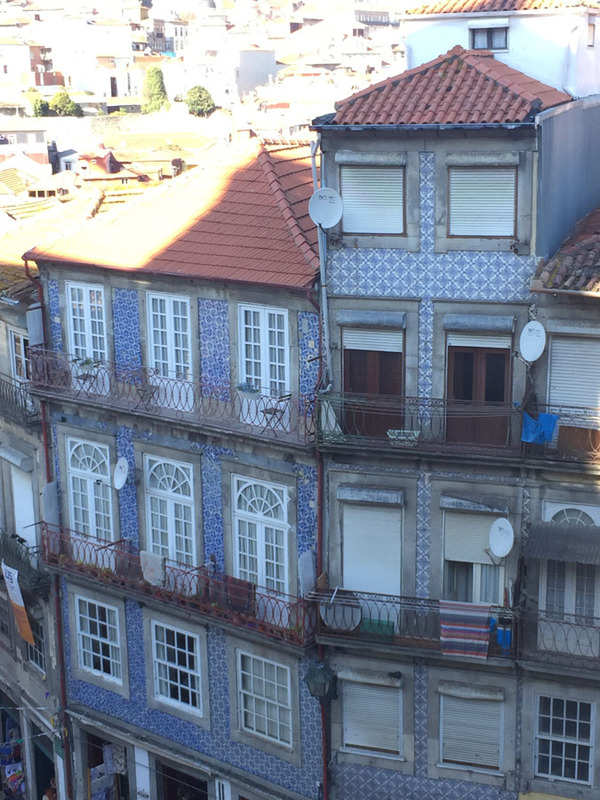 We fell in love with the city. 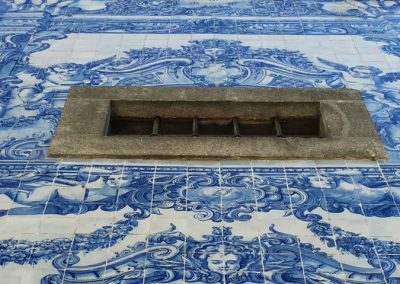 From the old ramshakled houses with dilapidated distressed tiled fronts, which held such charm to the amazing blue tiles on churches and inside the railway station. 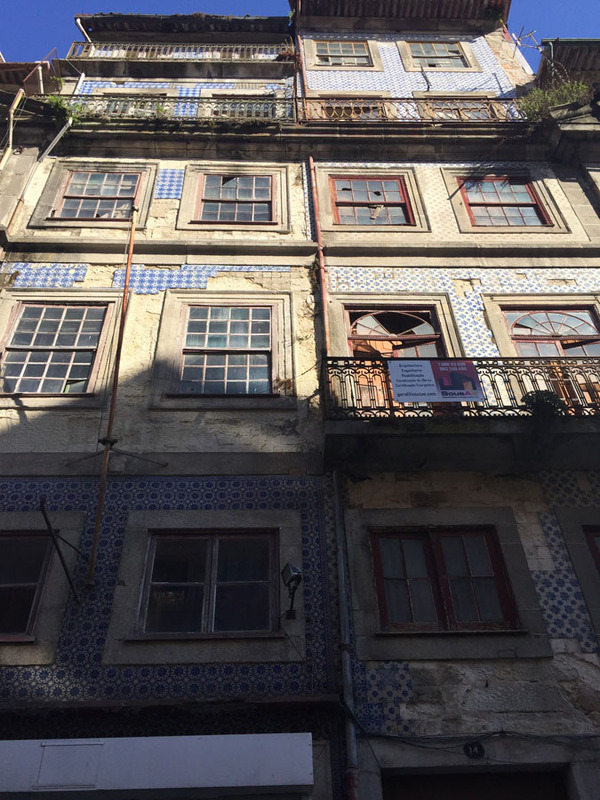 It was hard to believe with the irregular angles of the homes, (against anything perspective I’ve known), and rooftops akimbo, that the buildings were actually still standing! 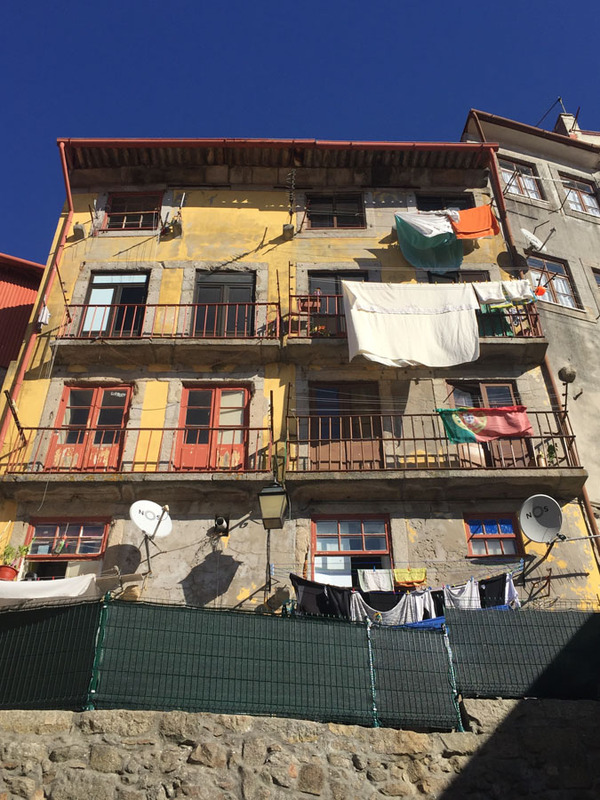 The lopsided buildings seem to hold each other up and there worn weary charm was quite beautiful. 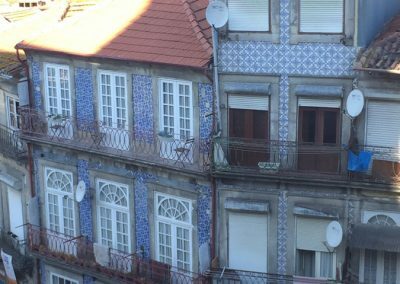 As well as walking through the cobbled side streets, where laundry hangs out drying from balconies, seeing the blue tiled churches are a must! 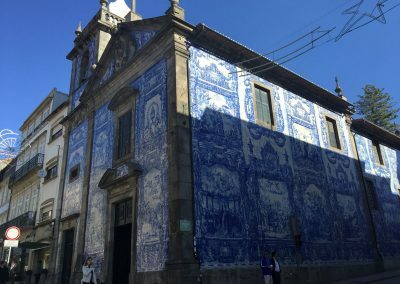 Visit for sure, Igreja Capella Das Almas, the ‘Chapel of Souls’, built in the early eighteenth century. 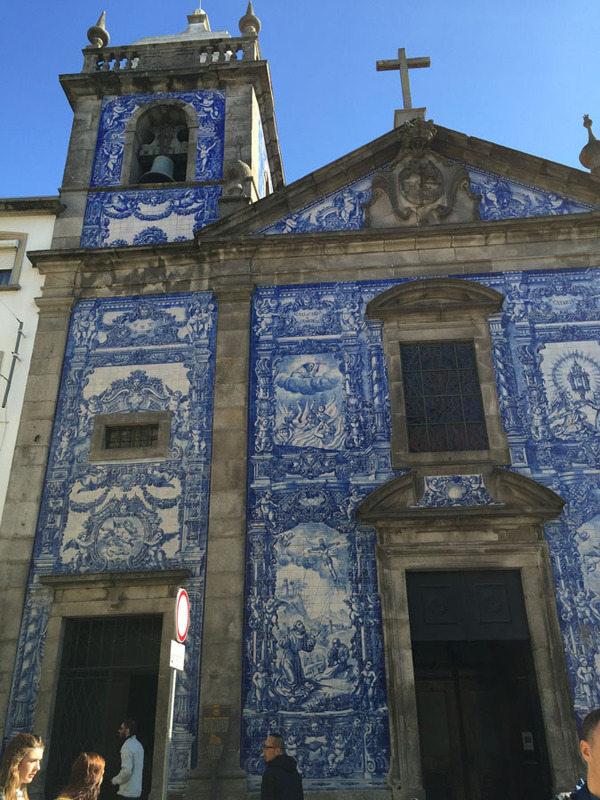 The Chapel stands on Rua Santa Catarina, a busy shopping street in the heart of the city. 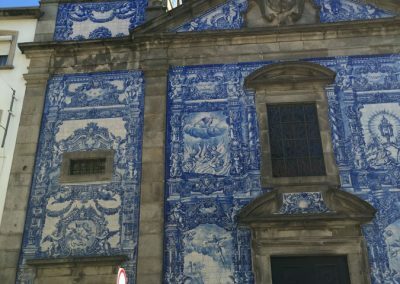 The Chapel has a beautiful facade of blue and white ceramic tiles painted with scenes from the lives of saints. 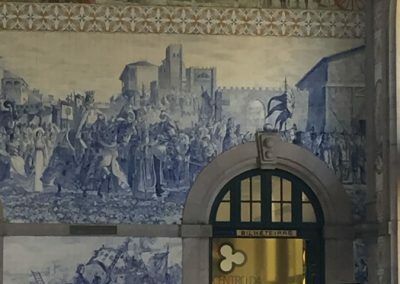 The magnificent panels depict moments in the life of St Francis of Assisi, his death and the martyrdom of St Catherine, to whom the chapel is dedicated. 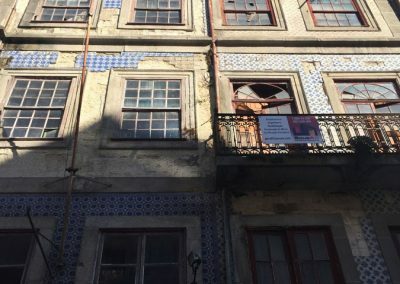 Eduardo Leite painted the tiles in a 18th Century classic style, though they only date back to the early 20th Century, when the exterior was covered in 1929 with the tiles. The Chapel of Souls is located close to the Bolhao Market, an indoor market, well worth walking round. 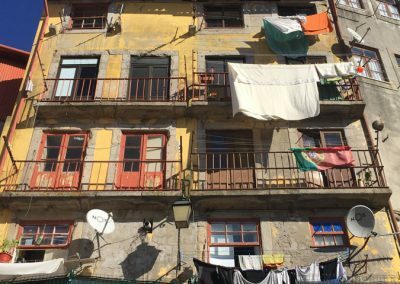 A Portuguese ‘Borough’ market! 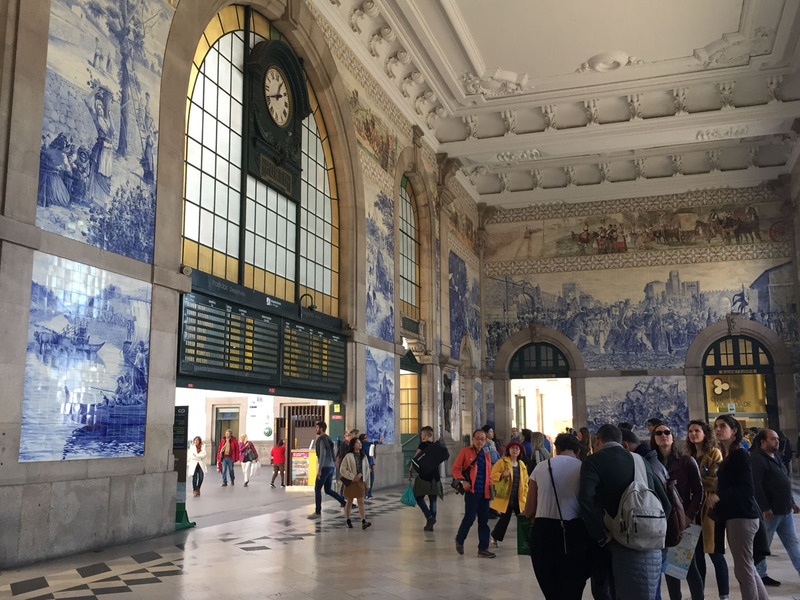 For more gorgeous blue tiles, a must to ‘go see’ is Sao Bento railway station and the Cathedrale de Porto-Novo. 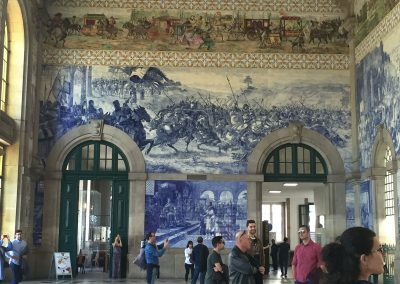 The railway station is just stunning with elaborate tile work that tells the story of Portugal. 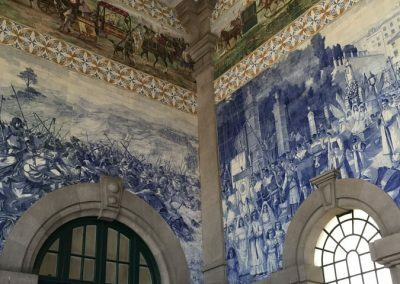 20,000 azulego tin glazed ceramic tiles depicts Portugal’s history, it’s royalty, wars and transportation history. 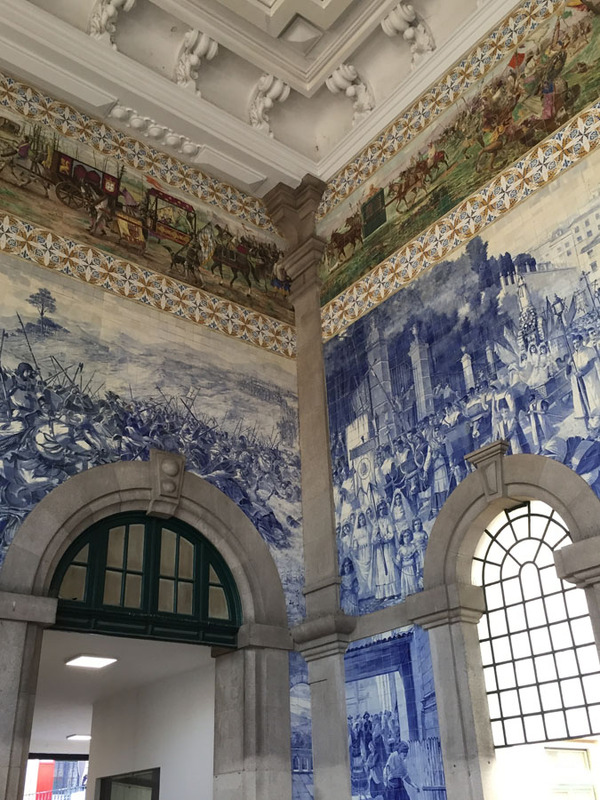 The tiles were placed over a 11 year period (1905 – 1916) by artist Jorge Colaco. 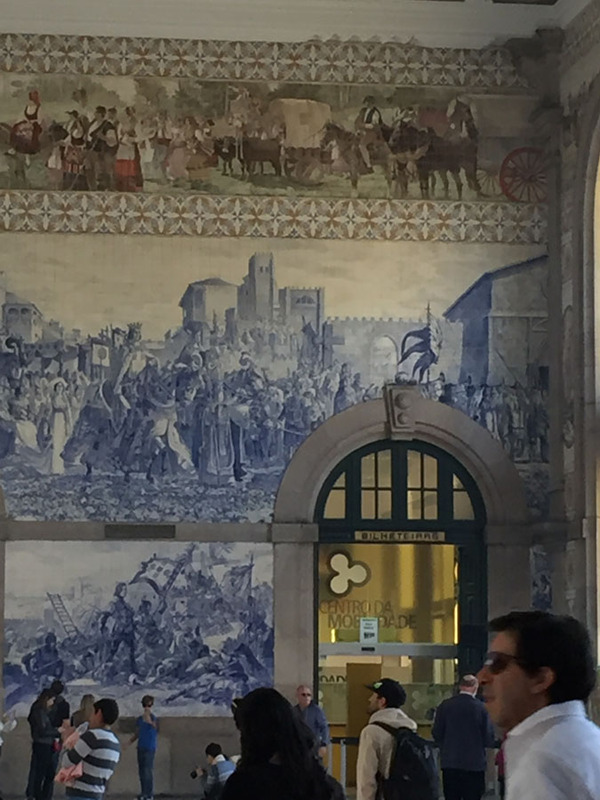 The station is named after a Benedictine monastery that once occupied the space in the 16th Century. The house of worship was torn down in the 19th Century to make way for the railway system. 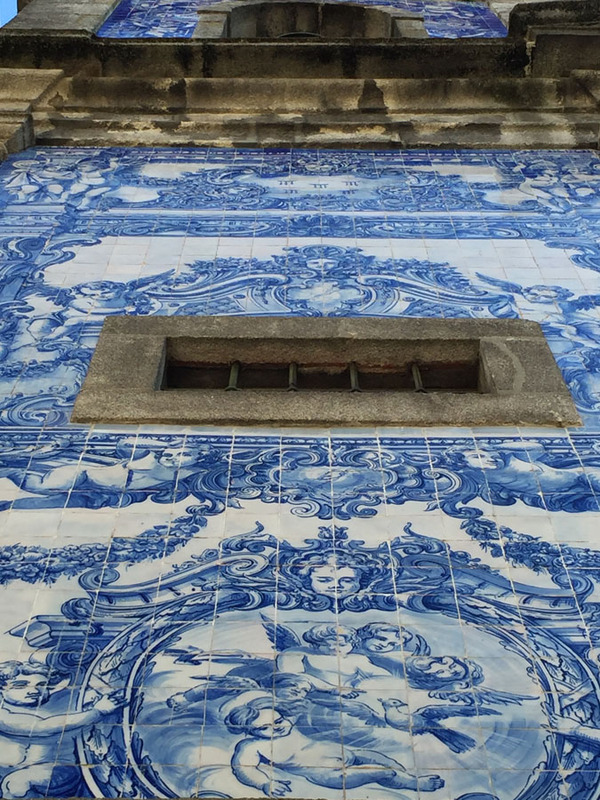 Built by architect Jose Margues da Silva, with the first stone being laid by King Carlos I. 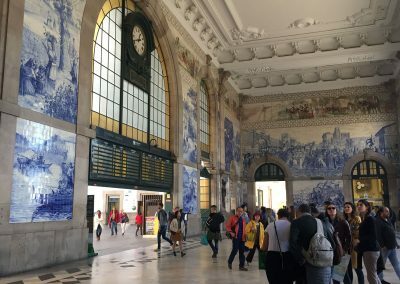 The intricate tile work began five years after the station was built and considering they are now a century old they have withstood the test of time. 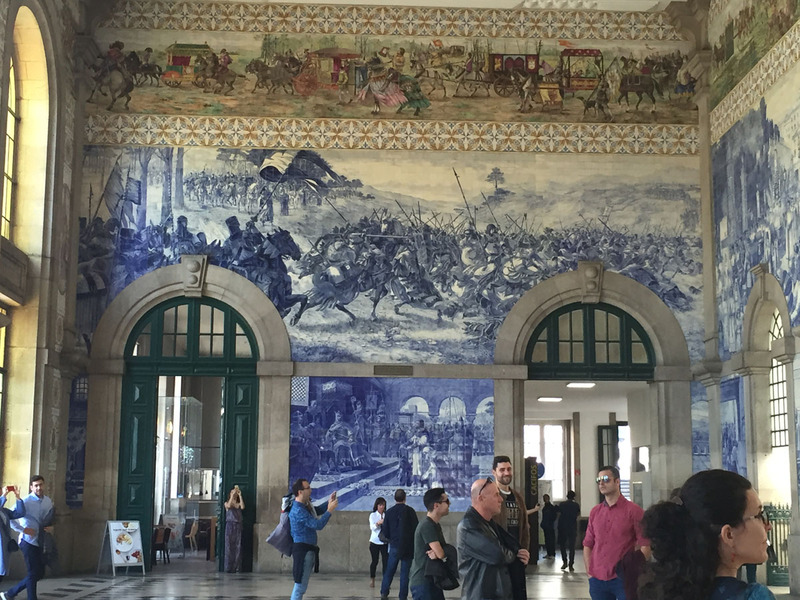 The sight of the floor to ceiling decoration and the stories they tell are breathtaking. 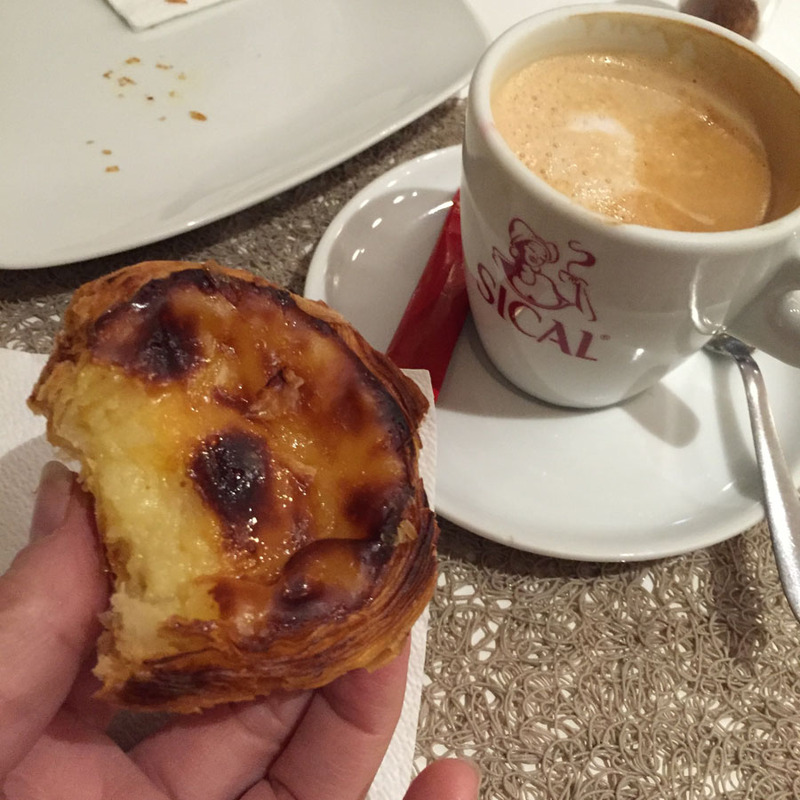 And please when in Porto, don’t forget to have a custard tart or two, they taste divine!